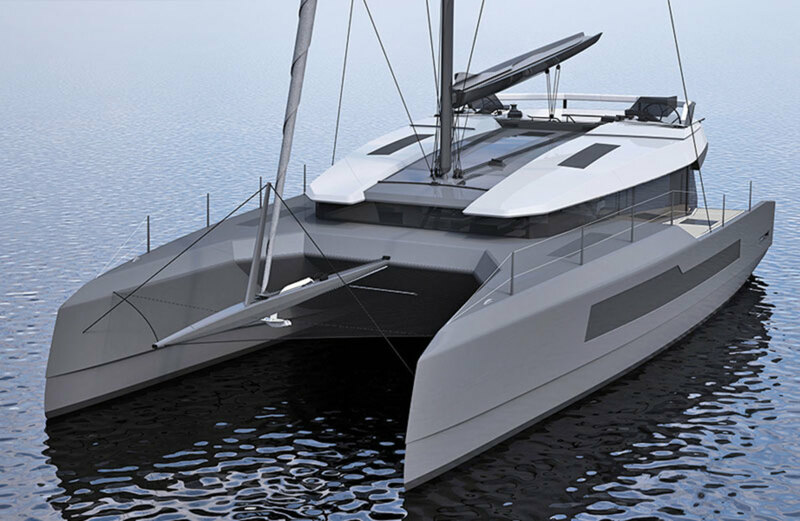 British designer Jason Ker is best known for a string of hot offshore racing monohulls, but he’s turned his hand to multihull design with this striking new catamaran that’s being built by McConaghy Yachts in China. As with his monohulls, Ker is not scared to buck convention and bring some fresh thinking into play. The Ker 50’s “balcony” helm station, with its twin wheels set behind a traveller that runs the width of the cabintop, is the first of its kind in a cat of this size. 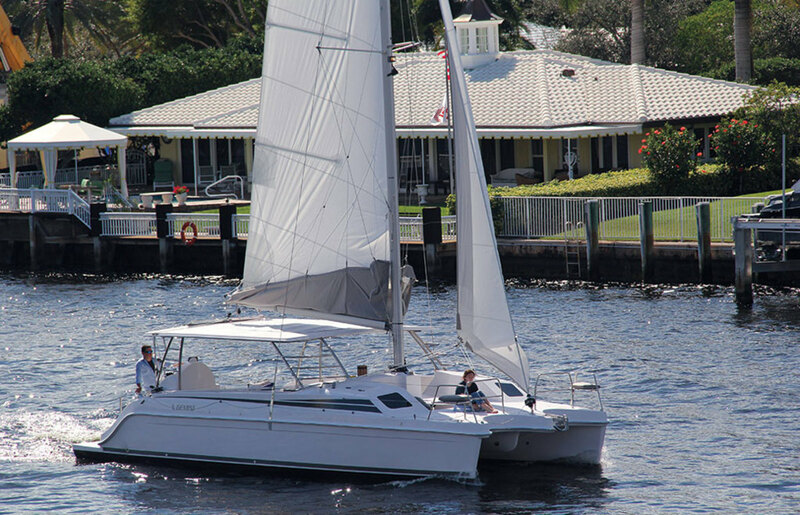 The ease of access to the sail controls indicates the sporting potential of the boat, while full-width wrap-around seats abaft the wheels mean the crew can keep the helmsman company. 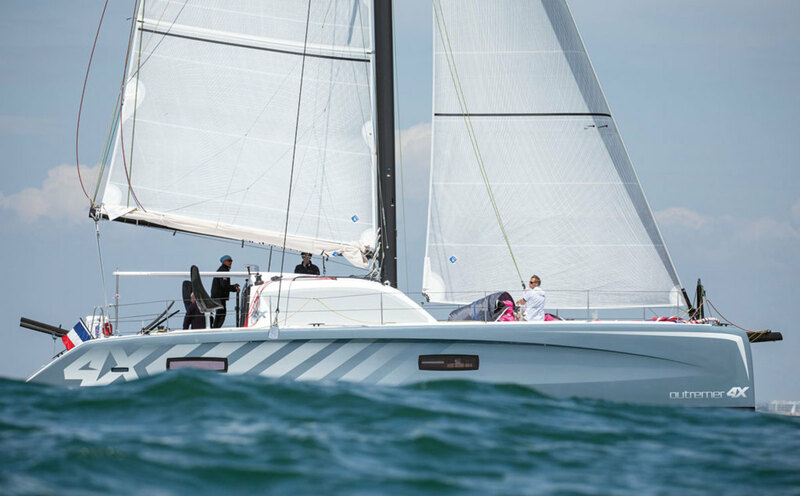 If the Outremer 45, launched two years ago, is too staid for you, this turbocharged version should put a smile on your face. Careful weight shaving has taken 1,300lb off this already svelte cat, and combined with a larger sailplan and extended transoms to boost the sailing waterline, this puts an added spring in its step. Add to that some cool new graphics and you have a midsize performance cat that will turn heads wherever she goes. This boat may well have a different name by the time it appears at the Salon Nautique in Paris in December, but at time of writing, it was still the New 47—the replacement for Fountaine-Pajot’s long-lived Salina 48. 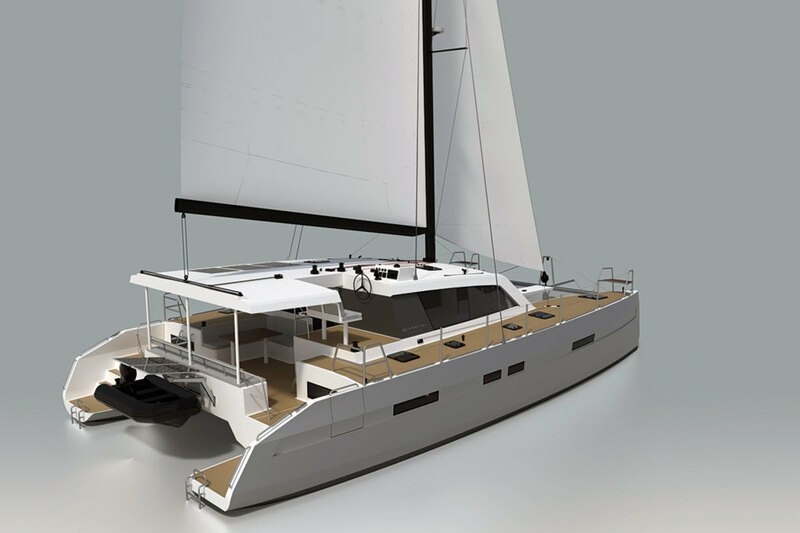 The Berret-Racoupeau design looks just like an enlarged version of the Lucia 40 introduced last year. Like the 40, it features excellent use of the available space—so much so that one layout option is a “Quintet” arrangement with a fifth cabin, complete with ensuite heads. The three-cabin “Maestro” layout has an owner’s suite featuringa vast heads/shower. Lagoon’s largest cat yet, the Seventy7, makes its debut at the Cannes boat show this fall. An impressive boat in every sense of the word, it features a level of luxury that’s beyond anything the French builder has yet created. The centerpiece is the vast owner’s suite, which not only opens onto a lounging area forward on the bridgedeck but has an optional hull door that can be opened out and lowered to form a private swim platform. The three other guest suites are more modest, lacking the big walk-in closet of the master cabin for example,but look more than comfortable enough for extended living. Here’s a cat for the intrepid high-latitude explorer. Built in France by Garcia Yachting, the Explocat is constructed of the same high-grade aluminum used in the factory’s monohulls. 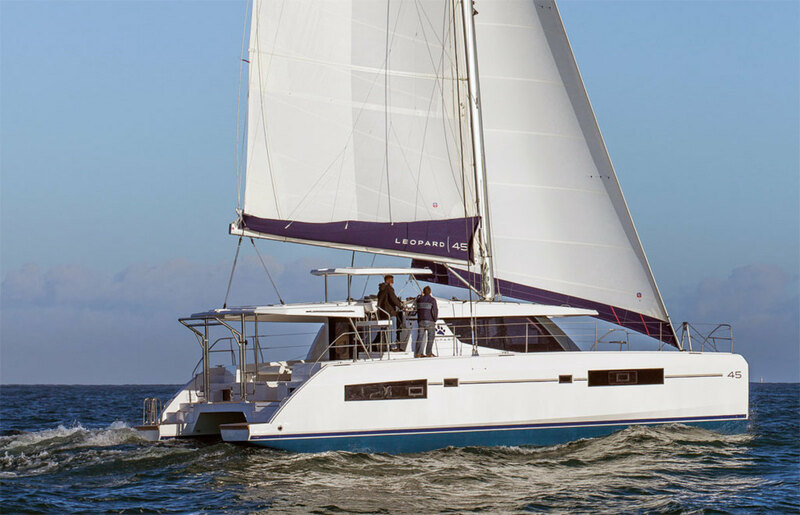 Inside, the hulls are insulated thermally and acoustically to ensure comfort, and the layout and accommodations lack nothing in terms of amenities. While the hull design and rig should ensure respectable performance, the yard has put plenty of emphasis on load-carrying ability, bearing in mind that owners will want to spend considerable lengths of time off the grid. There is a choice of three layouts—owner’s, four-cabin, and charter—with up to 10 berths counting those in the saloon. 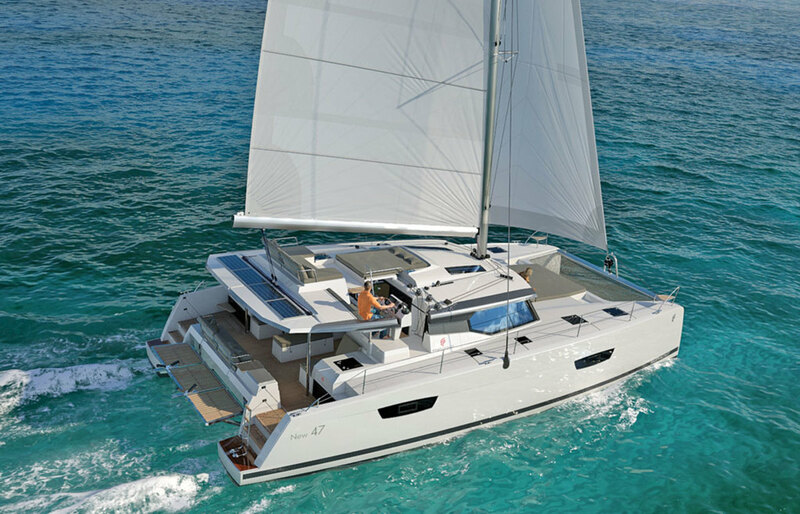 Italy’s ICE YACHTS is known for its luxurious, speedy and beautiful monohulls, and now it too has turned its attention to multihulls. 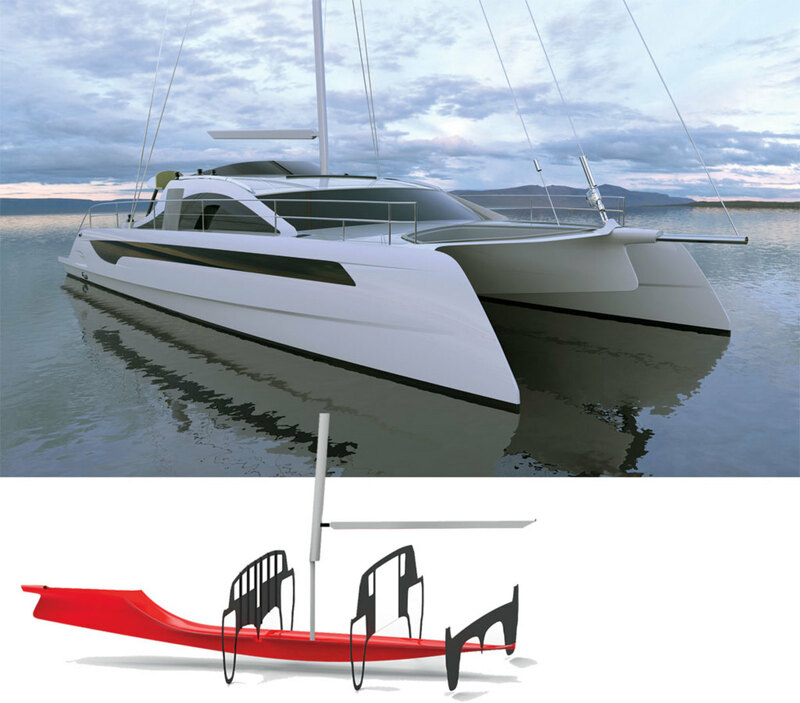 The ICECAT 61, designed by Enrico Contreas, is a speedy bluewater boat that embraces some fashionable design concepts but rejects others—for instance, Contreas believes that bows on a cruising boat should also be working platforms and that’s why the boat does not have the trendy reverse bows seen on many performance cats. It does however have daggerboards and a generous sailplan. 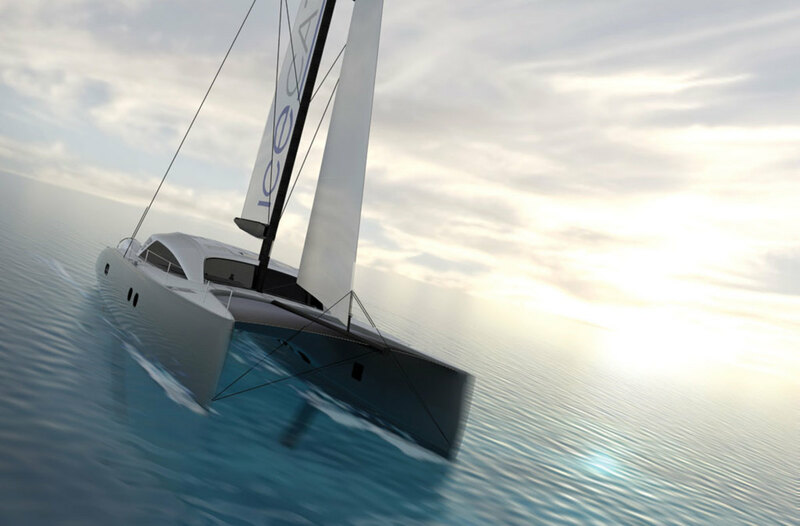 The O Yachts yard in Latvia has come up with this interesting concept for a large performance cruising catamaran that can easily be sailed solo. This Schickler/Taglapietra design will be launched next year. Renowned French solo racing sailor Laurent Bourgnon had plenty of input into the boat, which will be equipped with three or four furling headsails—the smallest of which is self-tacking—that will allow the crew to change gears to handle any wind conditions without the need to leave the cockpit. She has curved daggerboards and sleek lines that conceal generous accommodations that make full use of the wide beam.